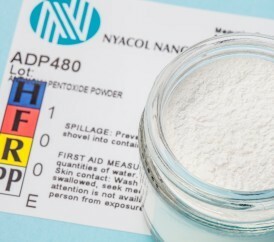 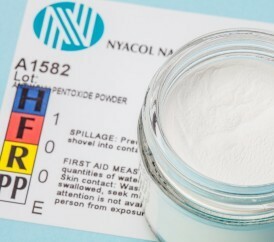 NYACOL® offers colloidal antimony pentoxide in a wide range of grades developed for specific applications. 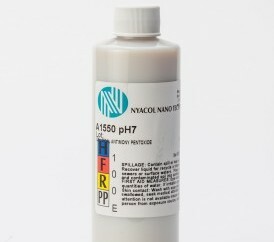 The particle size ranges from 5-10 nm up to 70 nm for the sols. The spray dried powders are 10-20 microns and provide easy handling. 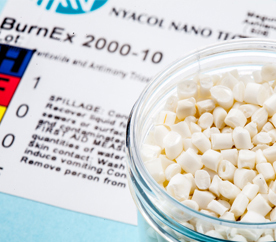 Flame retardant treatment of materials such as textiles, nonwovens, adhesive latices and coatings. 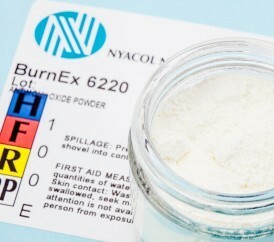 Flame retardant synergist for DMAC solvent systems. 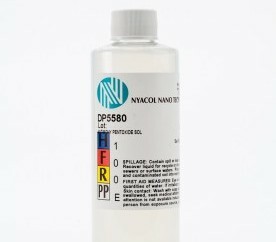 For use in emulsion or latex systems to achieve high clarity flame retardant polymers and coatings. 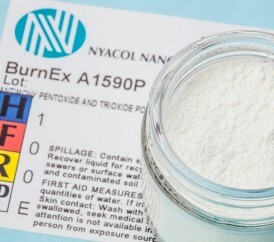 Flame retardant synergist for polyvinyl chloride and other materials employing halogens as primary flame retardant. 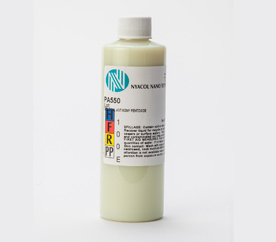 For use as synergists with halogenated flame retardants in polymers, solvents and adhesives. 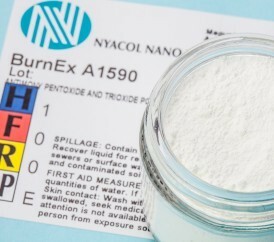 Developed as a flame retardant synergist for ABS, polyolefins and other materials employing halogens as the primary flame retardant. 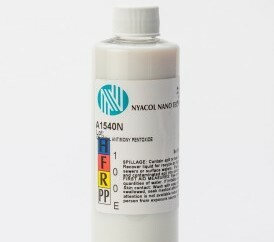 For use as a synergist with halogenated flame retardants in high performance epoxy. 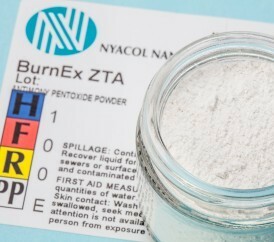 For use as a flame retardant, catalyst, ion absorber. 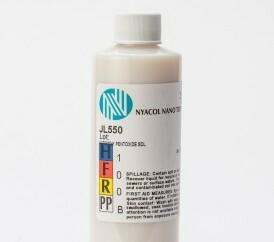 Synergist with PVC and other halogenated polymers. 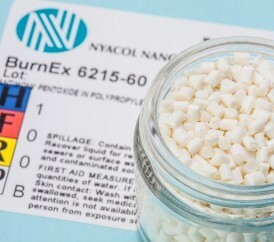 Non-settling dispersion for use as a flame retardant synergist in halogen containing polyester and vinyl ester resins. 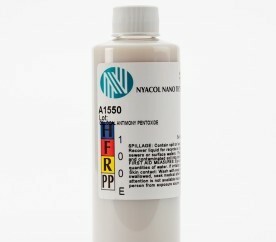 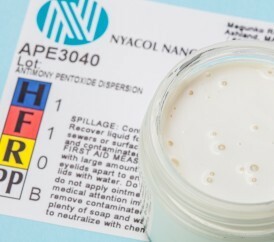 APE1540 can be substituted for antimony trioxide in formulations involving any polyester or vinyl ester resin system containing bromine or chlorine. 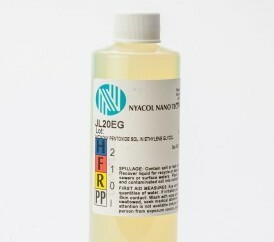 For use as a synergist with halogenated flame retardants for use with liquid polymers and solvents. 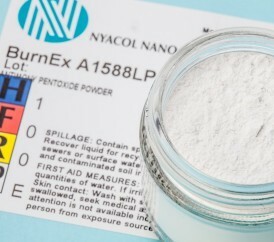 For use as a flame retardant synergist in halogen-containing vinyl ester and unsaturated polyester resins. 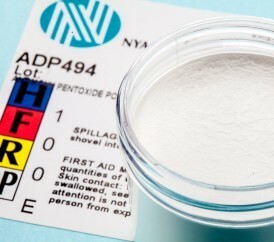 May be used with cobalt-MEKP type cure systems processed at room temperature. 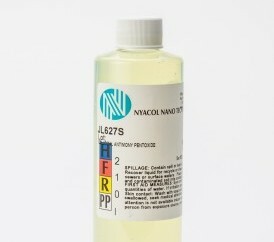 BurnEx® 6215-60 is a concentrate of antimony pentoxide in 4 MFI PP carrier. 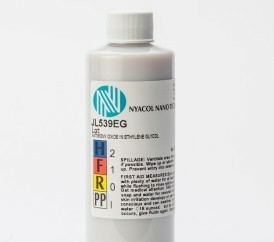 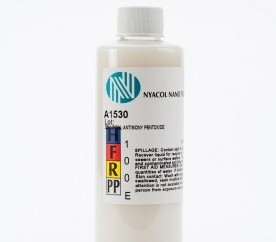 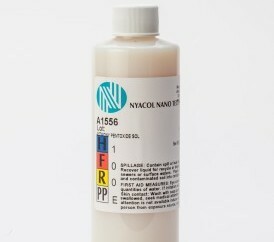 Nickel passivation additive for FCC.